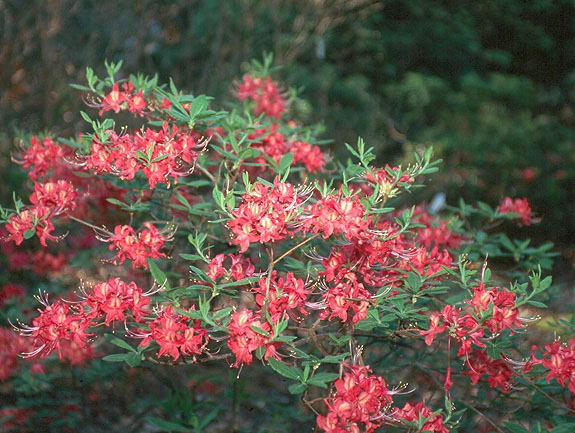 Rhododendron canescens. 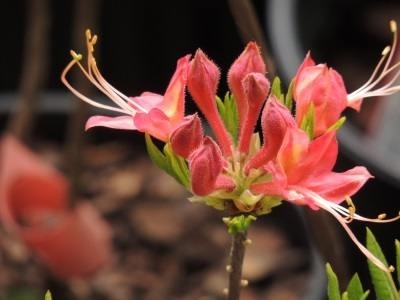 Piedmont Azalea. Pinxter Azalea. Pink or pinkish white blooms on a deciduous native species rhododendron found growing wild in the Piedmont region of the Southeastern United States. Very fragrant blooms in early Spring range in color from pink, white, or pinkish white. Gallon plant. Price includes delivery.